In November 2017, the Lansing Poetry Club received a First Impressions Placemaking Grant supported by the City of Lansing, the Lansing Economic Development Corporation, and the Arts Council of Greater Lansing. The purpose of the grant was to celebrate four areas of the city—Old Town, REO Town, the Stadium District and the Eastside— through a writing contest in which members of the community could share their connection to the city via poetry. The submission phase of the project occurred from March to May of 2018, with judging completed in June. 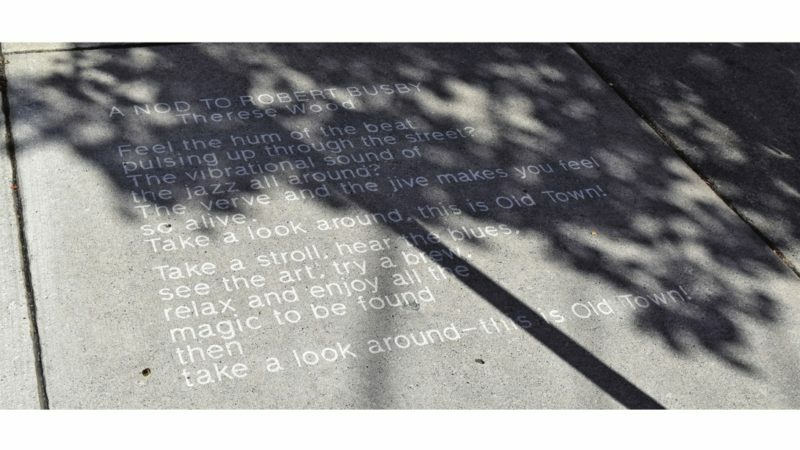 The etching of seven poems into sidewalks and of one poem into acrylic was completed in August by Endless Engravings of Charlotte.